Preheat oven to 450, cut zucchini into a french fry style. Mix the panko and asiago together in a shallow bowl. 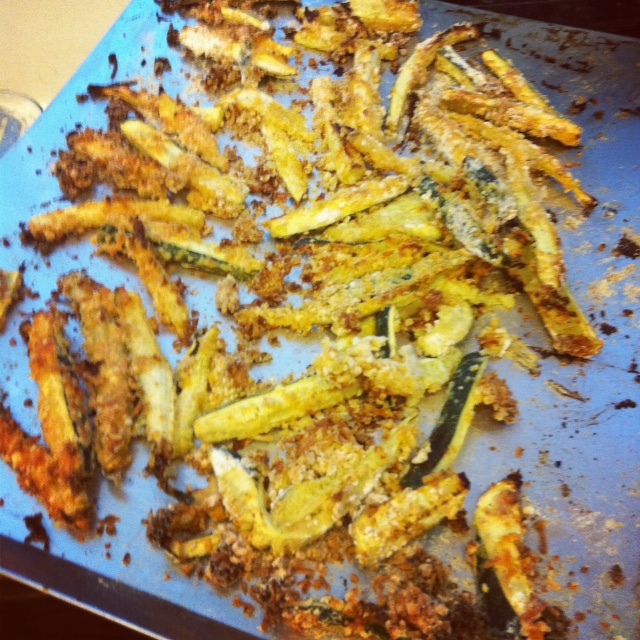 Coat the zucchini with the egg beaters then the panko mix. Place them on a baking sheet sprayed with cooking spray, once all complete spray the zucchini with the spray olive oil and bake for 12 minutes, flip then bake another 12 minutes. Serve with fat free ranch dressing.